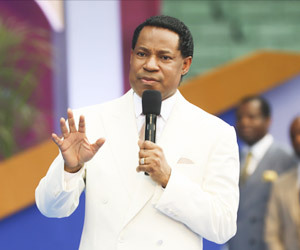 The man of God, Reverend (Dr.) Chris Oyakhilome, and Pastor Benny Hinn were joined by other inspiring ministers of the Gospel, Bishop Clarence McClendon, Pastor Dan Willis, Evangelist Mike Smalley and Pastor Steve Munsey for a second 'Your LoveWorld' telethon, bringing the manifestation of God's love and power to the homes of millions around the world. 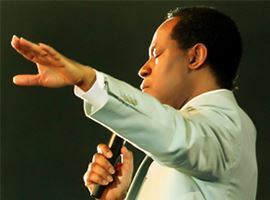 Days before this life transforming telethon, Pastor Chris whet the expectations of the teeming and exhilarant television and online audiences, declaring concerning the event: "God sent us to bring you a word to bless you; that means to bring prosperity (and more prosperity) and more health and strength and glory into your life. That's our purpose!" 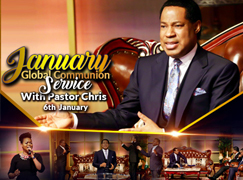 The telethon that transformed destinies around the world last year, returned on Sunday January 14th to Friday 19th January 2018 to bless millions of viewers in this superlative Year of the Supernatural. 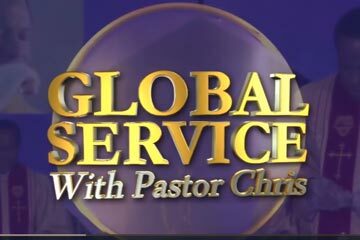 Pastor Dan Willis, Evang. 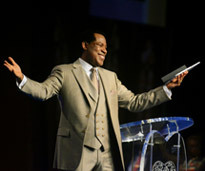 Mike Smalley and Bishop Clarence McClendon sharing in unison of spirit. 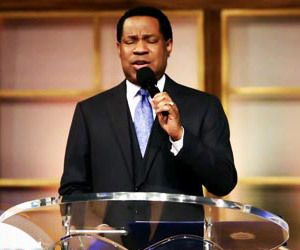 Plug in to the supernatural with the ongoing ‘Your LoveWorld’ broadcast with Pastor Chris and Pastor Benny. 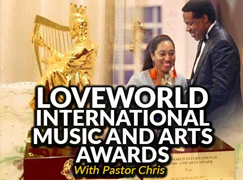 Video excerpts of inspiring messages by Bishop Clarence McClendon and Pastor Dan Willis on ‘Your LoveWorld’. 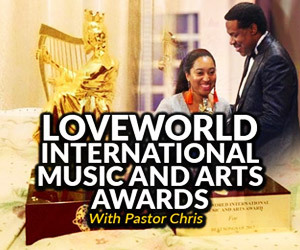 The weeklong 'Your LoveWorld' telethon kicked off to a supernatural start, delivering deep revelations and insight that have promoted congregants around the world in just the first session. 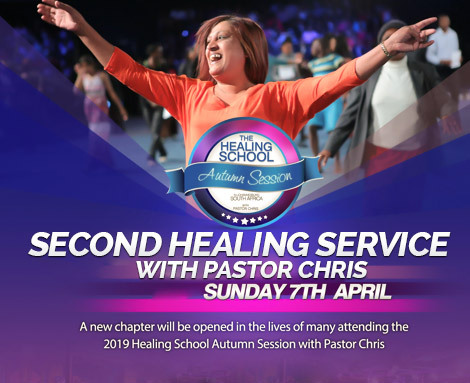 "This is your week for a miracle," Pastor Dan Willis announced, setting a tone of divine interventions that took place throughout the program. 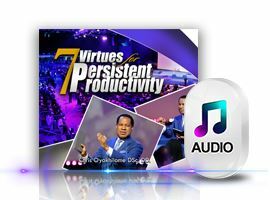 In one of the featured video excerpts, Bishop Clarence McClendon speaks prophetically, unearthing God's modus operandi for transforming lives and bringing men into His preordained destiny. 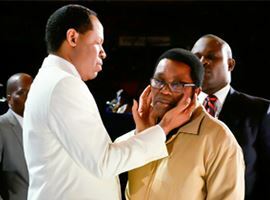 "Somebody’s dream is about to summon you out of the prison that has kept you bound...to shift you into a place of supernatural authority and influence," he said to the congregation, using the story of Joseph in the scriptures as a powerful anecdote. 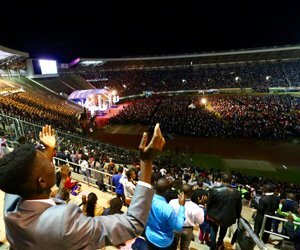 At a high point in his ministration, Pastor Dan Willis announced under the unction of the Holy Spirit that the script has been flipped, and it is now time for Africa to take the Gospel to the ends of the earth. 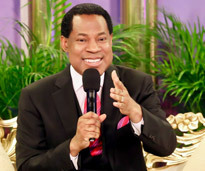 "What is in Nigeria has got to go to America," he said! 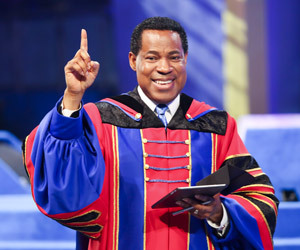 Bishop Clarence admonishes millions around the world to never stop ‘revelating’ — utilizing the gift of God. 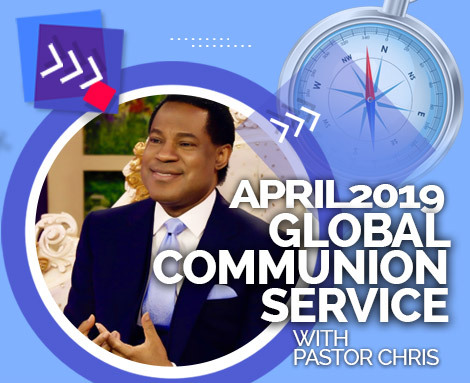 Introducing the word 'revelate', Bishop Clarence McClendon committed to the spirits of viewers around the world the importance of continuing to utilize your God-given gift and interacting with the Spirit of God through revelations and illumination. 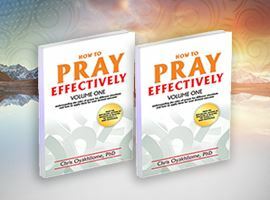 To ‘revelate' —the Bishop coined from the travails that came to Joseph in the scriptures because of his gift and his persistence in continuing to use the same gift till it set him on the throne as Prime Minister in Egypt. 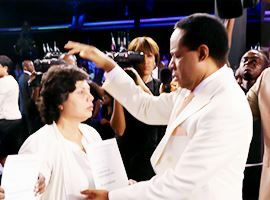 'Your LoveWorld' telethon was and continues to be an out-of-this-world experience for congregants around the world. 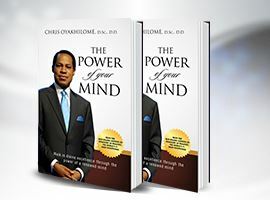 The best way to describe it is as the man of God, Reverend (Dr.) Chris Oyakhilome, expressed: an impartation of faith into God's children around the world, in order that they may live in the supernatural, to which they have been called. 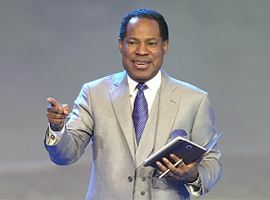 During a special exhortation, Pastor Chris reminded participants that they are "children of truth...a manifestation of God's truth," encouraging them to live in that light. 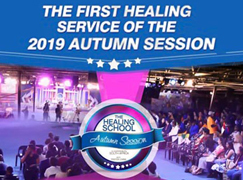 It was an extraordinary privilege listening to the esteemed Pastor Benny Hinn and guest ministers, Bishop Clarence McClendon, Pastor Dan Willis and Evang. 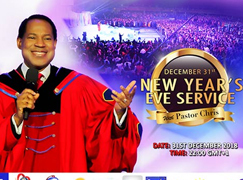 Mike Smalley. 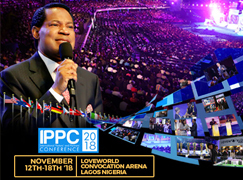 Some esteemed members of the BLW Central Executive Council-Reverend Tom Amenkhienan, Reverend Ray Okocha and Pastor T. T. Edun, also exhorted and imparted gifts and graces into the lives of viewers and participants. 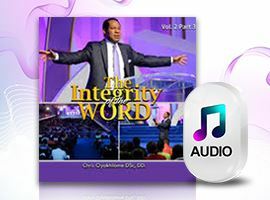 The esteemed Assistant Secretary-General, Pastor Biodun Lawal, also shared depths of divine wisdom concerning the role of a seed in the believer's prosperity story. 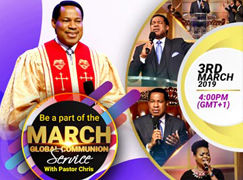 From Loveworld Convocation Arena to the world; testimonies galore caps 6 intense days of Your Loveworld Telethon. 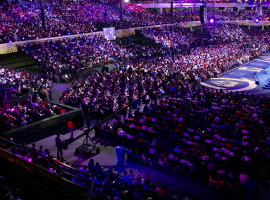 At the finale of 'Your LoveWorld' telethon several gifts and graces were dispensed by the anointed ministers of God, Reverend (Dr.) Chris, Pastor Benny alongside special guest ministers Bishop Clarence McClendon, Pastor Dan Willis, Evangelist Mike Smalley and Pastor Steve Munsey to millions around the world via satellite and Internet broadcasts from the LoveWorld Convocation Arena. 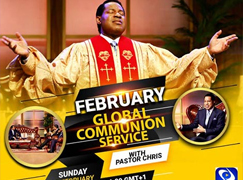 A new season of blessing and glory for the body of Christ throughout the world was launched on Sunday, January 14, with the telethon 'Your LoveWorld'. 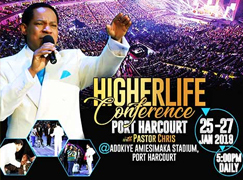 Every day of the week has been a schooling in the supernatural and an impartation of faith as the BLW President ministered alongside several guest ministers. 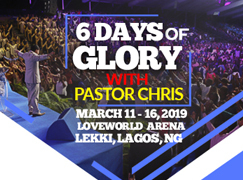 The LoveWorld Convocation Arena and hundreds of thousands of homes around the world have become an altar of worship, as LoveWorld artistes led the global congregants in songs. 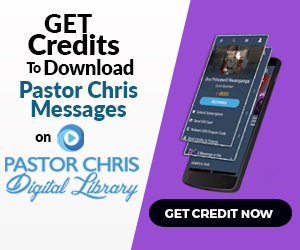 Pastor Dan Willis was joined by Sinach, Eben and Martin PK in an inspiring musical ministration, before he shared God's Word from Proverbs 18:16, which reads "a man's gift maketh room for him, and bringeth him before great men."